With MWC 2015 just around the corner the hype around Samsung and its new flagship device is at an all-time high. Rumors have been abundant ant kind of hard to actually keep track of, but one thing is for sure they are all stacking up that all important fan enthusiasm. The Korean giant is definitely not skipping on all the fun and has more than readily jumped on the rumor train. We already reported on a few over-the top teaser banners released on Samsung's Norway website. While these are obviously meant to humor some of the more ridiculous speculations about the new Galaxy there is also a big chance that they hold a grain of truth. After the original three "official rumors" Samsung has opted to provide eager fans with two more. One of the new banners states - "It has been rumored that the new Galaxy will feature a larger display". 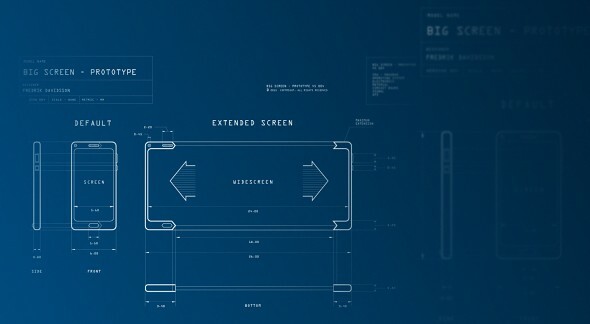 That comes on top of what appears to be a schematic blueprint for an extendable display. Looking closer at the numbers on screen we do notice 5.6 written on the device display. This however is probably nothing more than a humorous joke, as current information puts the display of the Galaxy S6 at 5 to 5.1 inches, just a tad smaller than its predecessor. And frankly anything larger would significantly lessen the gap between the Galaxy and Note series, which is very unlikely. The second banner, actually fifth counting the original three, talks of "an all-glass Samsung Galaxy." As most of you surely know there has been a lot of talk about the supposedly metal body of the new flagship and how it is going to cope with signal interference. 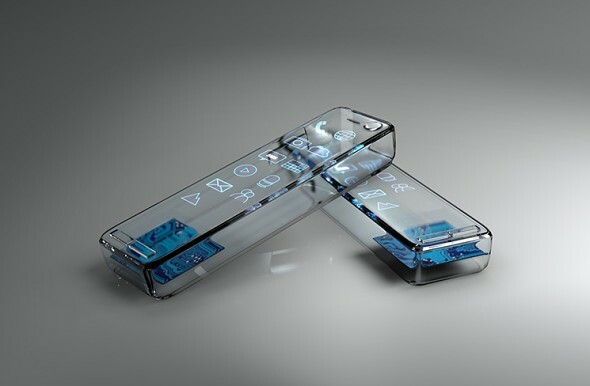 One widely discussed possibility is of an all glass back, which Samsung is obviously referencing in the rumor. A more recent leak states that a clever antenna design might be the remedy for the issue. Samsung seems to have really picked up on the whole rumor avalanche and is now strategically joining in to fuel the flames. This is definitely a clever PR stunt, but the real question is whether there is truth behind the mockery. We are sure to find out on March 1 at the official Barcelona event and until then all we can do is guesswork. If you missed the previous three Samsung rumors you can read about them in our previos article.